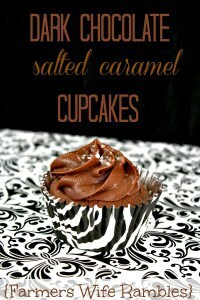 This amazing Dark Chocolate Salted Caramel Cupcake Recipe is sure to be a sweet treat for anyone that tries it! 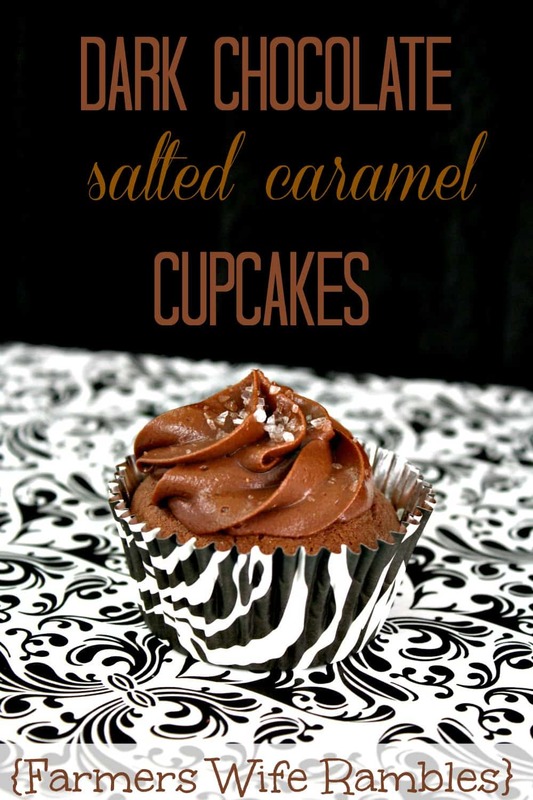 The cupcake recipe, from All Recipes, really is amazing with the homemade frosting. 1. Preheat the oven to 350 degrees. Line cupcake pan with cupcake liners. 2. Sift together the flour, cocoa, baking soda, and salt. In a medium bowl, whisk together egg, brown sugar, white sugar – in a separate bowl, whisk milk, coffee, and melted butter. Whisk the dry ingredients into the wet ingredients. 3. Fill cupcake liners 1/2 to 2/3 full. Bake for 15 minutes, or until a toothpick comes out clean. Cool for 10 minutes. Beat butter for a few minutes with an electric mixer. Add 3 cups of powdered sugar and 3/4 cup cocoa powder. Next, add vanilla extract, salt, and 2 tablespoons of heavy cream and beat for 3 minutes. If your frosting needs to stiffen up, add remaining sugar. If your frosting needs to be thinned out, add a tablespoon of milk. Love cupcakes? These Blue Raspberry Lemonade ones are so easy to make and will keep the kids talking about how fun they are. Not sure you are up to decorating, than these Strawberry Cream Cheese Crescent Bars won’t disappoint and they don’t require a lot of prep time. 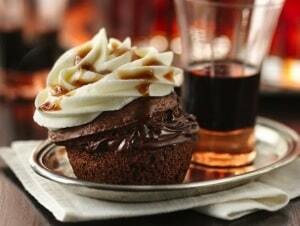 Do you prefer baking cupcakes or cakes? What about eating cupcakes or cakes?